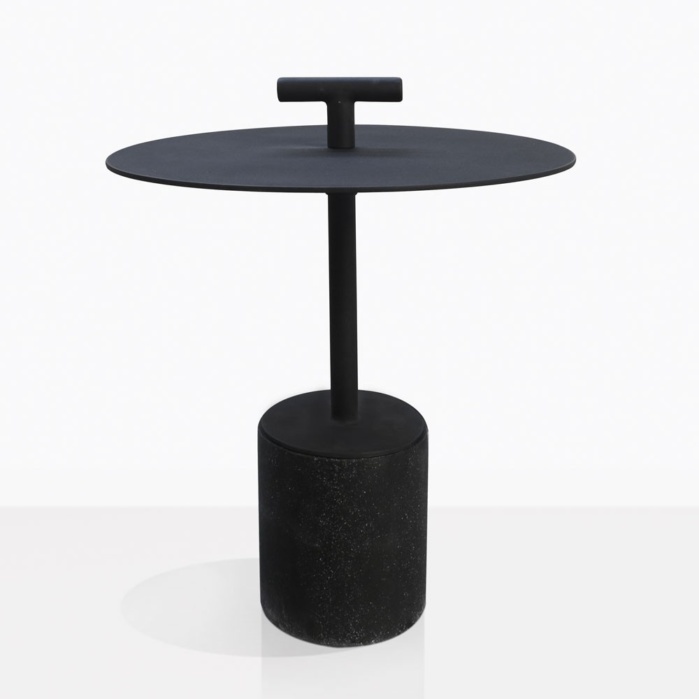 Take your outdoor lounge area to the next level with this brilliantly designed side table with a striking silhouette. 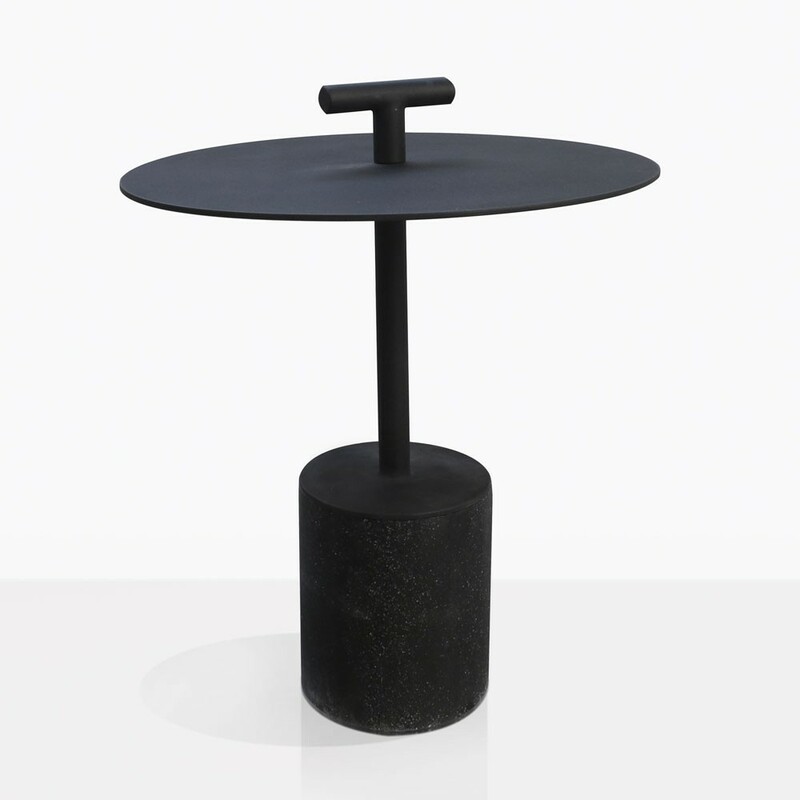 The Flight Outdoor Side Table is made with a special blend of fiberglass, concrete, and resin along with a steel frame. This mixture produces a sturdy and heavy piece, it is definitely not feeble. Place it next to any number of our black relaxing chairs for a dramatic effect. It is strong for commercial use and will looking stunning in a bar lounge area. We can just picture an elegant wine glass resting on top along with a fabulous plate of appetizers. We have an amazing collection of accent tables and coffee tables, over 160! Shop our catalog online or visit us today! Don’t forget we offer nationwide shipping! W17.7" x L17.7" x H22.6"